That previous post on housing was essentially a lament that the omniscient Economist had no answer to London’s affordable homes problem (short of building across the inner Home Counties — which might, just might, finally collapse the transport networks). Roosevelt Island, which is considered part of Manhattan and not Queens, was famously conceived as a utopia for working- and middle-class New Yorkers in 1969, and the architects Philip Johnson and John Burgee designed its master plan. Most of the apartments on the island were subsidized through state and federal programs, and various buildings were developed to house tenants of different income levels, so that someone receiving a Section 8 grant, for instance, might live next to a teacher in a rent-regulated unit. Gus Christensen was, until six months ago, a managing director at Evercore Partners, the boutique investment bank, a position preceded by stints at JP Morgan and Goldman Sachs and an education at Wharton. Some years ago, befitting that profile, he was a Republican; but eventually the religion of the free market lost its hold on him, so much so that his politics migrated aggressively to the left. Last week he posted on Twitter a link to a tabloid piece about a billionaire who was buying a $70 million pied-à-terre for his children at 740 Park Avenue, with the hashtag #Signoftheapocalypse. 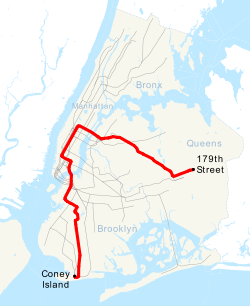 Mr. Christensen is running for the State Assembly in the 76th District, which runs east of Third Avenue on the Upper East Side and includes Roosevelt Island, a community that might be seen as a template for the kind of equitable and more economically integrated city that he and other progressives, fearing the eclipse of all but the wealthiest faction of the plutocratic class, want to see achieved. It is tax day, April 15th, and a rainy one on the Upper East Side of Manhattan where Gustavus “Gus” Christensen, a Democrat running to fill a rare open city seat in the New York State Assembly, works from his compact, ground level home office. Christensen sits in front of a closed HP laptop. His campaign manager, on the payroll for about a month, sits in front of a 27-inch Apple Thunderbolt Display. Outside, commuters are soaked in the downpour. For his first race, Christensen believes he’ll need to raise half a million dollars. He’s already gathered $145,000 from donors and has lent his campaign another $250,000. It will be an expensive election. Three cycles ago, candidates in the neighboring district spent $3 million to fill an open seat. Inflation, it seems, is everywhere in New York. That’s one of the reasons Christensen is running. There’s also a Bloomberg “In the Loop” interview, which covers much of the same ground. “there are just too many people on the F train in the morning”. Rather like boarding the Northern Line south of East Finchley or Golders Green any morning, and expecting a seat. Today two of Miliband’s closest allies in the shadow cabinet are Rachel Reeves, who gave her first preference to Ed in 2010, and Tristram Hunt, who hotly backed his brother David. Brainy, academic, metropolitan middle-class professionals, they are also very much in Ed Miliband’s mould, which tells you a lot about his approach to politics. Miliband believes he can answer doubts about his personality with two other P-words, policy and principle. In Miliband’s view, last week’s promised clampdown on the jobseeker’s allowance wasn’t a knee-jerk attempt to stem the flow of working-class voters to Ukip. It was a carefully calculated plank in his plan to combat youth unemployment. The announcement was just a taster of the policy platform — on growth, on infrastructure, on education — that Miliband’s Labour will roll out through the summer, culminating in the party conference, an event that has so far proved a successful marshalling point for this Labour leader. The problem with this policy process comes when it intersects with reality. Not everyone sees things his way. I, on the other hand, feel that Christensen, Reeves, Hunt, and Miliband are models of precisely the kind of caring, thoughtful progressives of which we need many more.